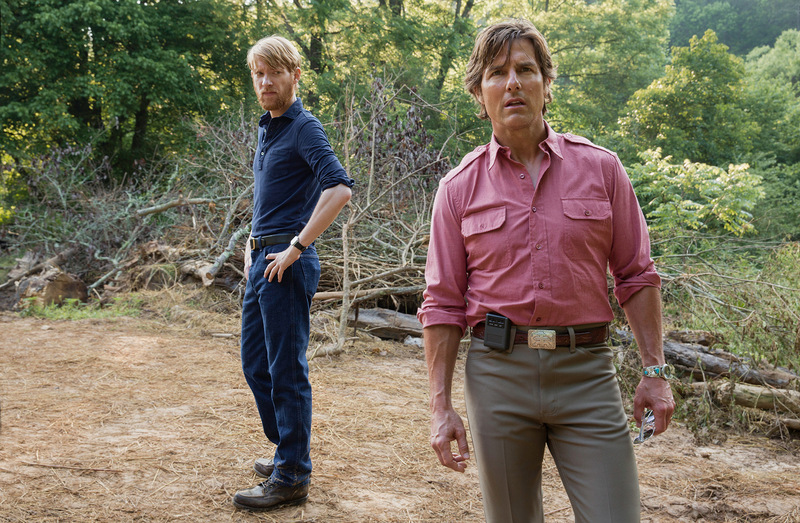 It’s not even been a while since we’ve seen Tom Cruise do a film, but its been a while since we’ve seen him do one, which wasn’t all action and with no real plot line to speak of. Alas, now finally comes a film that definitely has some real substance to it, called ‘American Made’, after so many action packed films such as ‘Jack Reacher: Never Go Back‘, ‘Mission Impossible – Rogue Nation‘ and ‘The Mummy (2017)‘ and not that those are just action films without much of a plot, but we definitely like something a bit different, don’t we? Something with a story, at least. It’s refreshing that we can once again see Tom Cruise do a film with a strong script that’s actually based on a true story, and that doesn’t just feature dangerous stunts, endless gunfire, car crashes and dangerous flights… Wait a minute, dangerous flights? There will be plenty of those in this film, and that’s all part of ‘American Made’, which is about a TWA pilot who is recruited by the CIA. Now if that doesn’t interest you, then nothing will. Let’s cut to the chase now and bring you the official trailer for the movie. Yet again, we can come to appreciate Tom Cruise’s natural acting talent in a role with more depth than just an action blockbuster movie. Take a look! Looks intriguing, right? We haven’t seen Tom Cruise take on a role like this in many, many years, so this is all good news for us. Could this be up there with his performance in Collateral, or even as T.J. Mackey in Magnolia? We’ll have to see… However, we do know a good movie from a bad one, and with an initial 87% rating on Rotten Tomatoes, with 85 Reviews comprising the score, they cannot all be wrong. The new film is directed by Doug Liman, who famously directed ‘The Bourne Identity‘ and ‘Mr. and Mrs. Smith‘, so you know when the action scenes come, it’ll be sublime, but don’t forget that there’s also a great story in here too, something for Tom Cruise to really sink his teeth into. This will draw people to the cinemas, or at least will make this a film that will stand the test of time. In our opinion, those are the sorts of films that always supersede action films, every single time. Let’s be honest, if there’s no real plot and the script is a terrible blockbuster throw together with only plenty of action scenes, one after the other, then it’s just another blockbuster movie with insane amounts of marketing needed to get people into cinemas to see it. That’s sad and happens way to often, in order to just sell cinema tickets. Boring… Everyone gets disappointed with those films. So, if you’re planning on going to the Cinema and catch a good film this weekend or even tonight, make this the film that you go out and see.